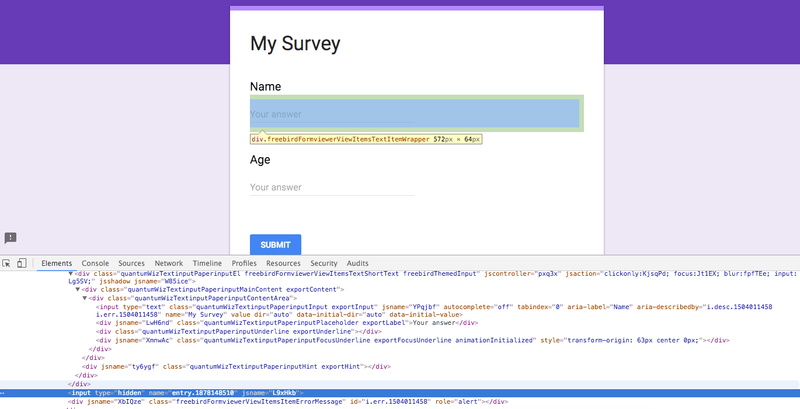 In the previous post we saw how we could setup the Google Form to write to Google Sheet. 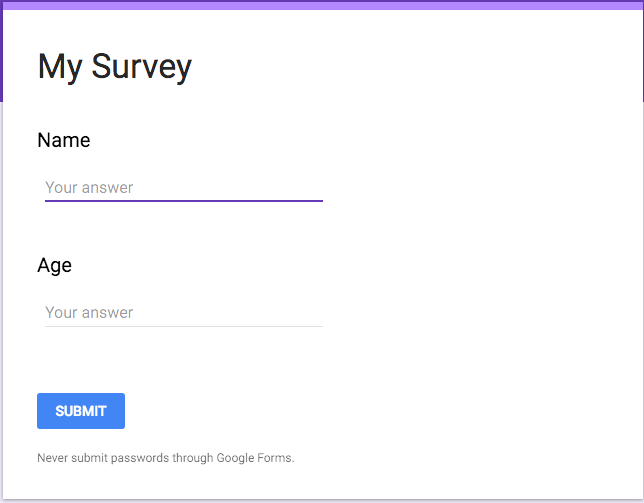 We will need 2 additional steps to submit information to Google Form from iOS app. In this post we will focus on the first step only. 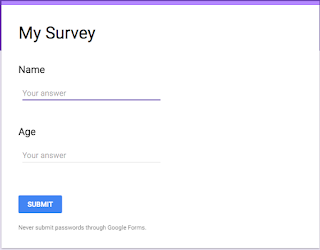 All we need to do is click on the "Preview" button on our google form page. Right click on the form and say "Inspect". Find a tag called "<form>" in the panel, there you should look for "action" attribute. This attribute has a big URL as its value. Save this URL we will to POST to this URL from our iOS app. Next, Right click on the input field in your form and click "Inspect". It should show "input" tag highlighted in the panel below. Note down the value of "name" attribute on the input. 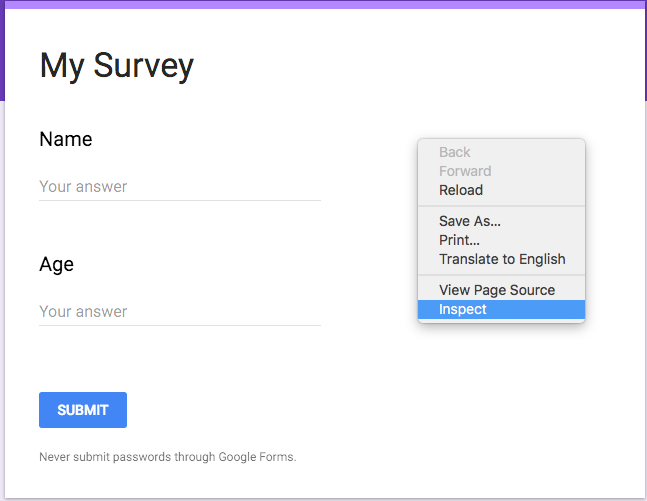 Do the same thing for other fields in the Google Form. These keys will be used when we submit information from our iOS app to this form. Once we have these identifiers noted we are left with one last step i.e. to do the HTTP POST from iOS app to Google Forms. We will see how to do that in the next post.